Argentum is a leading private equity investor in Northern Europe managing investments on behalf of the Norwegian government and institutional investors. Their ambition is to is to stimulate and create private equity investment groups in Norway, develop high research competence and to receive high return of capital from investments. Based in Bergen and owned by the Ministry of Trade and Industry, founded in 2001. Innovation Norway creates value by stimulating to profitable business development throughout Norway. Their programmes and services are intended to create more successful entrepreneurs, more enterprises with capacity for growth and more innovative business clusters. Their ambition is to realise the potential of the different districts and regions in Norway by contributing to innovation, internationalisation and promotion. Formed in 2004 through a merger of four governmental organisations. DNB is Norway's largest financial services group with total combined assets of more than NOK 1.9 trillion and a market capitalisation NOK 164 billion as per May 2016. DNB is committed to support the thriving Norwegian Startup Ecosystem, they imagine their future as a technology company with a banking licence. Formed in 1822, employs over 11 thousand and headquarters in Oslo. The renowned Angel Challenge program gives investors access to the early stage startup investment ecosystem, and startups access to capital. 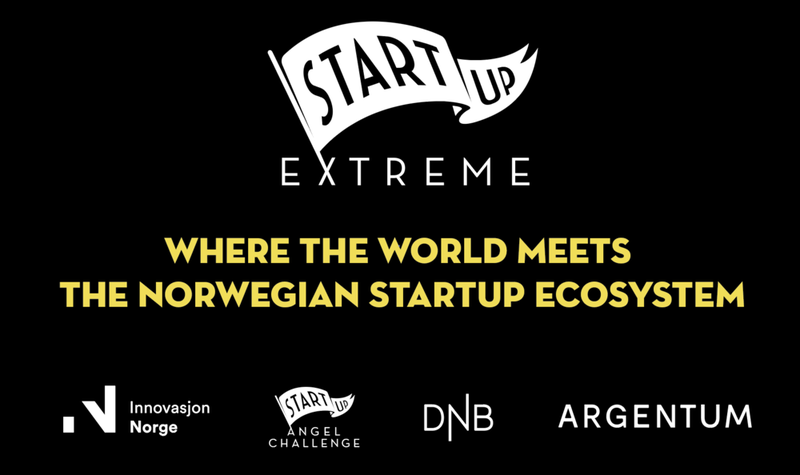 The Angel Challenge program is the leading Norwegian startup investment training program for investors and startups. During eight evening sessions, 20 local investors work closely together analyzing a handfull of exciting startups, sharing and learning best practice skills, attracting dealflow, and investing together. Since the start in 2015, we have been running 13 Angel Challenge programs in 5 cities in Norway, engaging 254 investors to the community. BTO (Bergen's technology transfer office) is what is referred to internationally as a "Technology Transfer Office (TTO)". They support ten research institutions with commercialising research, incubation and clinical studies. Their ambition is to identify, evaluate, develop and realise research results that they consider to have commercial and/or socioeconomic potential. Established in 2004 and a leading force in the Bergen Startup Ecosystem. ICT Norway is an independent interest organisation that works to strengthen the overall framework conditions for the digital business community. Their ambition is to make the market bigger and to remove risk and obstacles to its members, increase value creation in the industry and help with internationalisation and capitalisation. Momentum invests in innovative, ambitious companies in their early stages. With their extensive experience in developing small and large businesses they take an active role in scaling their portfolio companies. Momentum brings both competence and involvement to the table, as well as equity. Momentum works closely with its cornerstone investor JO Capital. Momentum is owned by its active partners and W. Giertsen. JO Capital AS is an investment company based in Bergen, and the company's future focus and activity will to an increasing extent be related to early stage investments. The company wishes to contribute to promising start-up initiatives by ensuring good conditions for further development and value creation, including capital and competence support. JO Capital and its partners work closely to ensure good assessments of incoming investment proposals, and then provide guidance for further development, capitalization and commercialization of early stage companies with attractive potentials. Founded in 2009, after graduating from the TechStars program, SendGrid developed an industry-disrupting, cloud-based email service to solve the challenges of reliably delivering emails on behalf of growing companies. Like many great solutions, SendGrid was born from the frustration of three engineers whose application emails didn’t get delivered, so they built an app for email deliverability. Today, SendGrid is responsible for sending billions of emails for some of the best and brightest companies in the world. Startup Norway has a long term goal to create a strong startup ecosystem is a long term mission. It is about the "circle of startup life" where the older generation entrepreneurs support the new in an eternal loop of paying it forward. They are in it for the long haul, and are excited every day to see a new sign that the ecosystem is getting stronger and stronger, with more and more new companies being on the track to success. Setting the stage for tomorrows startup success stories from our region. Established in 1987, Arkwright is a strategy advisory firm with a staff of about 80 professionals and partners, with offices in Hamburg, Oslo, Stockholm and Zürich. Arkwright closely works with a wide range of private corporations—both small cap and large, blue-chip companies—all of which share the objective of optimizing their businesses and increasing profitability. Visma are the efficiency experts. If you have a business - small or large - Visma can improve it. Visma simplifies and digitalizes your core business admin processes, so that you can focus on what you love. 500,000 customers in Northern Europe utilizes their products and services, and an additional 300,000 use them as a hosting partner. Oslo Business Region develop arenas, networks and tools to support startups to successfully launch and grow their business ideas. Oslo Business Region cooperates with companies, knowledge institutions and other development agencies in the region to highlight leading R&D and business sectors, as well as conduct international profiling of Oslo. Oslo Business Region also monitor and analyse international rankings, indexes and benchmarks to keep an overview of Oslo´s performance in business, innovation and entrepreneurship, and to identify strengths and challenges.